Democrat Jon Tester, who voted against the debate, says he can’t explain exactly what it is Senators were being asked to vote on. "No, I cannot. I wished I could. This is a repeal bill with no idea on what the replacement is going to be. It was a very irresponsible vote. I think it’s going to jack up costs for Montanans," Tester says. "I think it’s going to hurt hospitals, especially rural hospitals, and it’s going to make healthcare more expensive." Montana’s Republican Senator Steve Daines voted in favor of the debate. 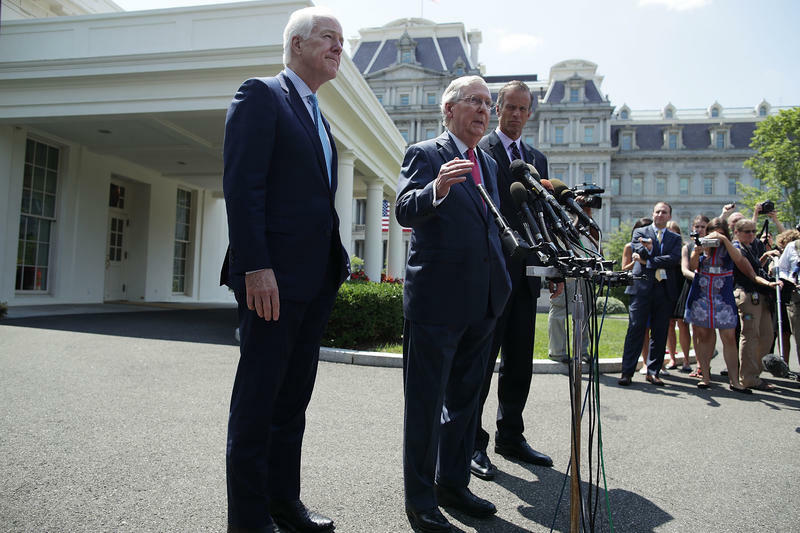 He says he’s happy the Senate will begin talks about its version of a bill to repeal-and-replace the Affordable Care Act after a lack of transparency during the bill’s drafting. "It's going to be a chance to have a very open debate which I think is healthy," says Daines. "That was what my vote was today, was to say let’s bring this debate onto the floor of the U.S. Senate. That’s all that vote was." Tester says he’s not buying that. "We’re looking at a classic bait and switch," Tester says. "If you take a look at what’s been offered either by the House or, what’s even worse, what’s offered by the Senate, as far as healthcare reform goes, neither one of these proposals — and the straight repeal without a replacement is even worse than the two proposals — but neither one of these proposals work for rural America. Mitch McConnell pushed for both of those bills before we got to this point, and it was only when he could not get a majority of people that he put up a bill that actually repeals and doesn't do anything, and says it’s going to be alright, you vote this and we’ll debate it. Bottom line is we’re not going to increase affordability and we’re not going to increase accessibility with either one of those proposals that came out of the House or the Senate. And that’s where Leader McConnell wants to go, and if anybody doesn’t think he wants to go there, they’re kidding themselves." Daines called the Affordable Care Act “fundamentally flawed” and says he supports repealing and replacing the ACA to make healthcare more affordable, protect people with pre-existing conditions and preserve Medicaid. 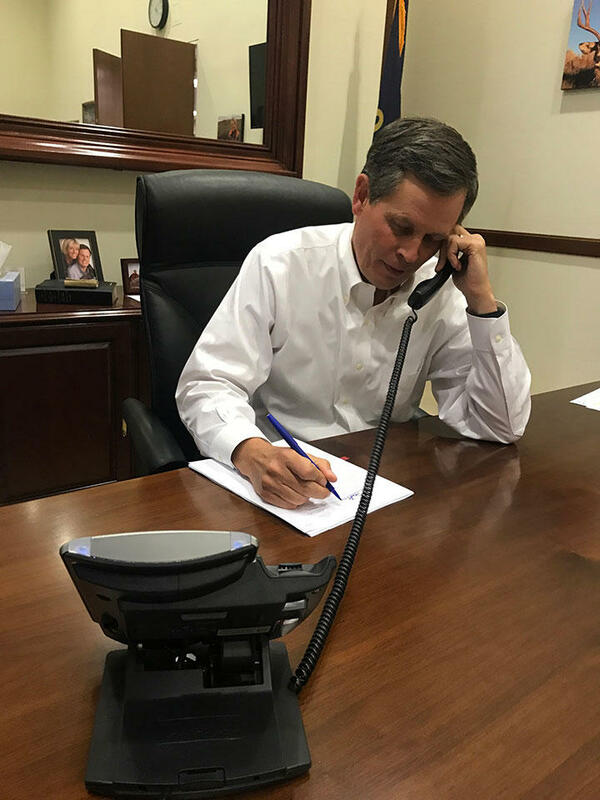 Sen. Steve Daines during a June 28 telephone town hall meeting on healthcare. "We have to fundamentally change the ability for the states, but importantly for the people to have control again in the healthcare equation," says Daines. "We’ve put insurance companies and the government in the middle of it, and we’ve got to change that." Daines says he plans to introduce an amendment that would reimburse people who were fined for not enrolling in health insurance plans under the Affordable Care Act’s individual mandate. "I call it a poverty tax. My amendment is going to say simply this: the people, those Montanans, those Americans who paid that poverty tax over the course of the last 5 years would be reimbursed in whole, there’s no reason they should be paying a fine for not having healthcare insurance." Senators have 20 hours to debate a number of bills that would repeal and potentially replace the Affordable Care Act, and the clock is ticking. Daines said the process of voting on amendments could take weeks and that it’s possible the Senate will not pass a repeal-and-replace bill at all. 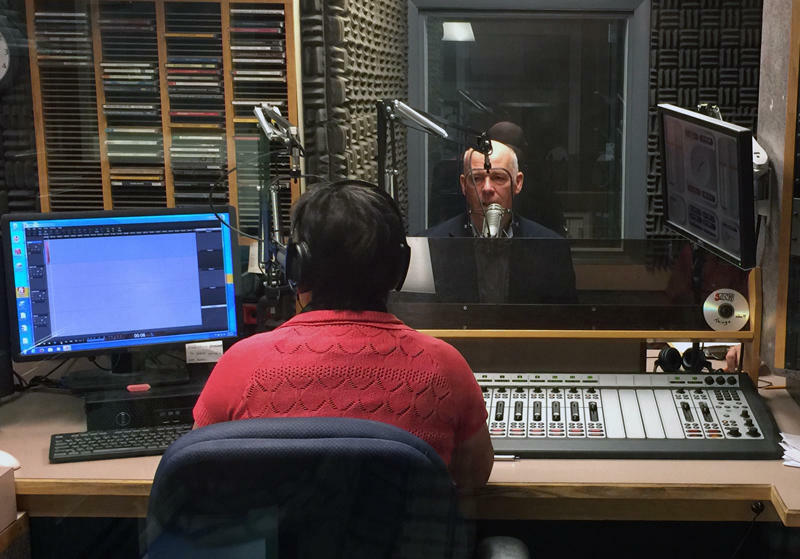 U.S. Rep. Greg Gianforte (R-MT) says the U.S. Senate needs to do its job and pass a bill on health care. This on the news that the Senate Majority Leader plans to hold a vote next week even though it is unclear as of Friday what lawmakers will be voting on.